Squaw Lake Campground has 125 RV sites located on the backwaters of the Colorado River above Imperial Dam. The 125 self-contained RV sites are mostly in a ‘parking lot’ arrangement, with also numerous dispersed tent-only sites. Campground amenities include drinking water, flush toilets, showers ($) and a dump station nearby at South Mesa. There’s also a boat ramp, picnic area and playground. Firewood is also available for sale from the camp host. Outdoor recreation includes boating, fishing, canoeing, kayaking swimming, water sports, hiking, biking, picnicking and wildlife viewing. You may also like Buckskin Mountain State Park or River Island State Park. 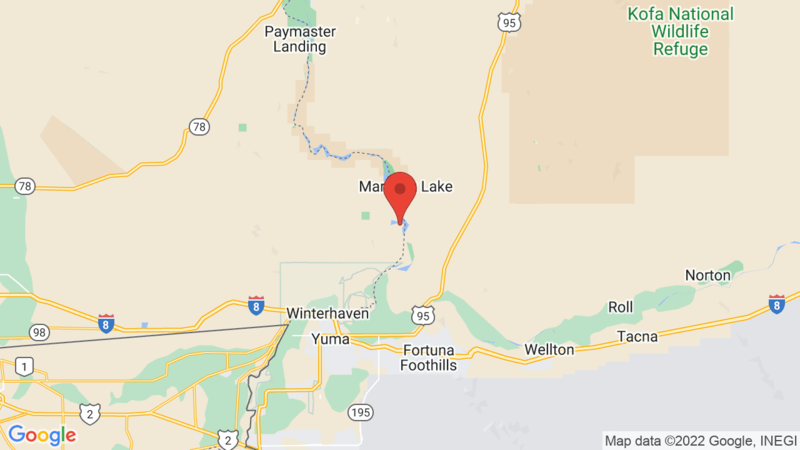 Both are further north and located on the Colorado River. Visted Squaw Lake Campground lately? We'd love to hear about your adventure. Did you find us useful? Did we forget something? Anything our community should know before heading out to Squaw Lake?